This article originally appeared on Guggenheim.org, and is shared with permission. In 2019, the Solomon R. Guggenheim Museum celebrates 60 years as an architectural icon. Since opening its doors on October 21, 1959, the Frank Lloyd Wright-designed building has inspired generations of visitors as a unique “temple of spirit” where radical art and architecture meet. Kicking off this anniversary year, the Guggenheim will initiate a new seven-day-a-week schedule starting January 7, 2019. Museum events leading up to the building’s anniversary day in October will offer members and the public new opportunities for inspiration, connection, and contemplation. On-site tours and activities will explore the history and details of the architectural masterpiece, and The Wright restaurant and Cafe 3 will update their menus with favorites of the museum’s visionary founders. Guggenheim fans around the world can look forward to behind-the-scenes videos, a blog series featuring guest writers from the fields of architecture and design, and a chance to share their own transformative experiences in the museum using the hashtag #Guggenheim60. Throughout 2019, learn about the Guggenheim’s landmark building through programs that highlight the connection between art and architecture. Archival images of Wright’s masterpiece, audio about the building’s development and construction, and information about architecture tours and programs can all be found at guggenheim.org/building. Starting January 7, the Guggenheim Museum will be open seven days a week from 10 am to 5:30 pm, and until 8 pm on Tuesdays and Saturdays, including pay-what-you-wish from 5 pm to 8 pm on Saturdays. 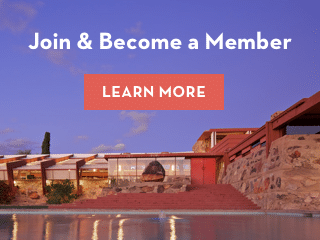 Part of the weekly Art in the Round Tours, these weekly building tours beginning January 4 are for everyone from first-time visitors to lifelong Frank Lloyd Wright fans. Teens and families will explore Frank Lloyd Wright’s architectural shapes and spaces through drawing activities in the museum’s galleries. Visitors can view exhibitions and experience the museum in a quiet, contemplative atmosphere. Beginning February 5, Silent Nights will take place on the first Tuesday evening of every month. Part of the monthly Second Sunday Family Tours, this interactive, family-friendly tour will explore the history, spaces, and shapes of the building and be accompanied by creative, hands-on gallery activities. During this special drop-in program for high school students, Guggenheim Teen Volunteers will lead their peers in an afternoon of art-making activities centered around the museum’s architecture. A transatlantic collaboration featuring the Guggenheim’s international constellation of museums, Drawing the Guggenheim is a day of activities centered on drawing the iconic architecture of the Solomon R. Guggenheim Museum, New York; the Peggy Guggenheim Collection, Venice; and the Guggenheim Museum Bilbao. Cartoonist Alan Dunn captures the feeling and dialogue of the opening of the Solomon R. Guggenheim Museum in his cartoons for the November 28, 1959 issue of the New Yorker.